1 How to Turn Orange Highlights to Dark Blonde? 2 How Long Should a Hair Toner Be Left on Highlights? If you’re like most "bottle blondes," you've likely experienced hair dye that has turned your hair way too blonde. Sometimes the color turns out fine, but more often than not, you may be left wondering what to do when you dye your hair too blonde. Luckily, there are easy ways to get rid of the overly blonde look. A toner is typically used to tone hair down to a more neutral version of the current shade. A toner can be used when lightening hair to tone down brassiness or orange tones, or a toner can be used to slightly darken and deepen too-blonde hair color. If you've dyed your hair and it's way too blonde, mix a toner that's one shade darker than your current color. Apply the toner with a color application bottle to hair that's about 75 percent dry. Make sure to saturate all your hair strands with the toner. Process the toner as directed in the instructions (usually about 20 minutes) and then rinse your hair. Shampoo and condition as usual (be sure to use a color-protecting shampoo and conditioner so that your toner lasts). This should help tone down your too-blonde hair. Hair color, like toner, can be used to darken hair if it's too blonde. Style-hair-magazine.com says that, in the case of too-blonde hair, using a hair color to deepen the tone works nicely to restore some balance—use a semi-permanent hair color to deepen your current blonde color. Use the semi-permanent color in the same way you used the toner. Mix it according to the directions in a color applicator bottle. Apply it to almost dry or dry hair and allow to process according to the directions (about 20 minutes). Then rinse, shampoo and condition your hair. You can also use semi-permanent color to lowlight hair. Lowlighting works in the same way as highlighting does, but it adds in darker pieces throughout your hair instead of lighter pieces. You can lowlight hair by using a semi-permanent hair color and mixing it in a color bowl. 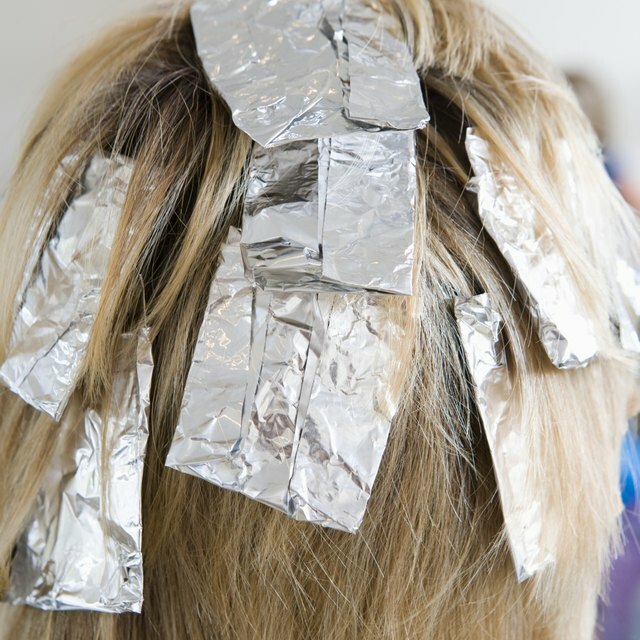 Then, using a color applicator brush, apply the lowlights to sections of hair with foil underneath, just as you would highlight hair. Process the same as suggested previously and rinse. This will add depth and different hues to your hair to tone down the too-blonde color.